Gossip Girl is coming to an end this season, as we are all well aware and have been waiting for since season 2. The producers of the show have confirmed that gossip girl will be identified in the series finale - now it has been revealed that Kristen Bell, the voice of GG, will be making an appearance in the final episode. I haven't watched this show in years, but I am pretty excited to see the reveal of the person who has been sharing people's dirty laundry for years. 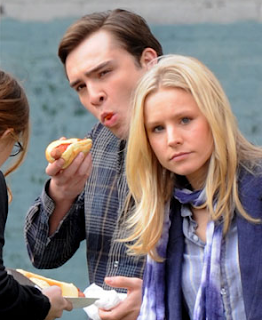 No confirmation that Gossip Girl is Kristen Bell...but chances are she is. Are you excited about the end of GG?